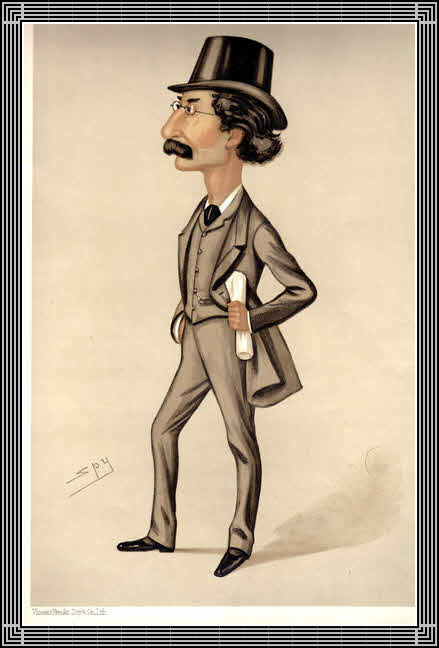 Vanity Fair lithograph (March 31 1886) of Edward Hare Pickersgill by “SPY” (Leslie Ward). Pickersgill (1850 –1911) was the first MP for the newly created constituency of Bethnal Green South West. He served the area from 1885 to 1900 and 1906 to 1911, when he resigned, presumably on health grounds. He must have been very active as Hansard records 1,627 Parliamentary contributions! Vanity Fair printed a rather uncomplimentary description (Click here) which may well have been influenced by his politics (Liberal Party). He was an implacable opponent of the, then, Home Secretary Henry Mathews and campaigned for the creation of a Court of Criminal Appeal, not achieved until 1907.